A curated selection of our best gift ideas, for yourself or the men in your life. Scroll down for our exclusive offer. The Midnight collection is our newest take on the classic Atelier Traditionnel design. The supremely comfortable white Micromodal fabric is accented by a deep midnight blue waistband. If you ask us, that's the perfect style for Holiday parties. Who would say no to classic white briefs? Iconic, looking great on every skin tone, they're a great addition to anyone's wardrobe. Ours are made with our signature American-made Micromodal fabric that's incredibly soft to the touch. Gift perfection. If you're stuck... a digital gift card is the way to go. Give the gift of choice and everyone will be happy. A Holiday 2018 special: free luxury gift box with all orders and free Priority US shipping. Luxury is in the details. 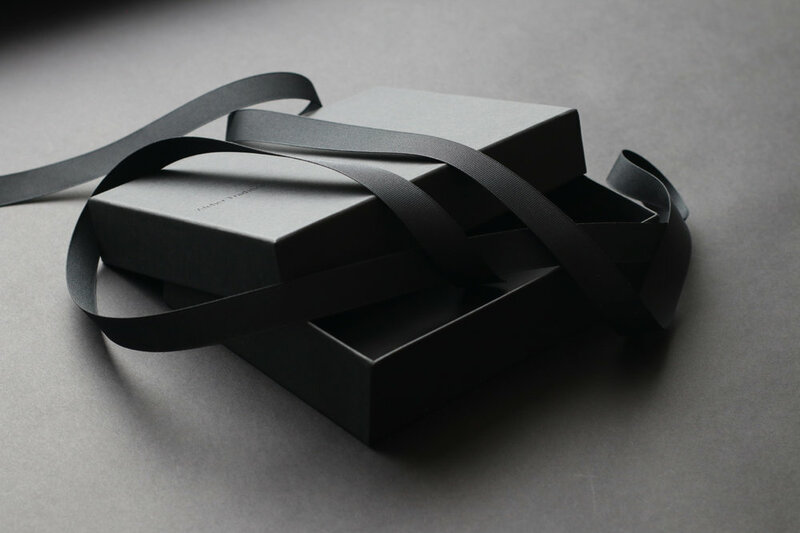 Every Atelier Traditionnel gift comes in an exclusive branded black box, closed with a matte black ribbon and our wax seal. Not only does it guarantee the authenticity of the product(s) inside the box, it also looks pretty good under the tree. Until December 20, 2018, all orders come with a free gift box and free Priority US shipping to ensure your gifts arrive before Christmas day. See details here.